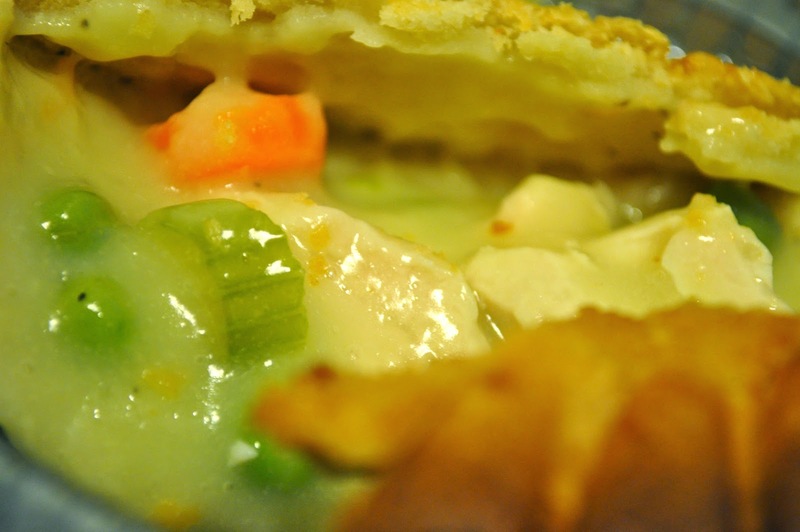 Comfort food is so good with Marie Callendar's pot pies! #PotPiePlease | The Food Hussy! There are times when all I want is comfort food - whether it's a rough day at work or just looking outside and seeing cold and rainy days like we've had for the past week. It's why I always keep a Marie Callender's Chicken Pot Pie in the freezer - only Marie Callender's tastes like homemade. Today is one of those days - it's cold and rainy - just a mucky mess outside! 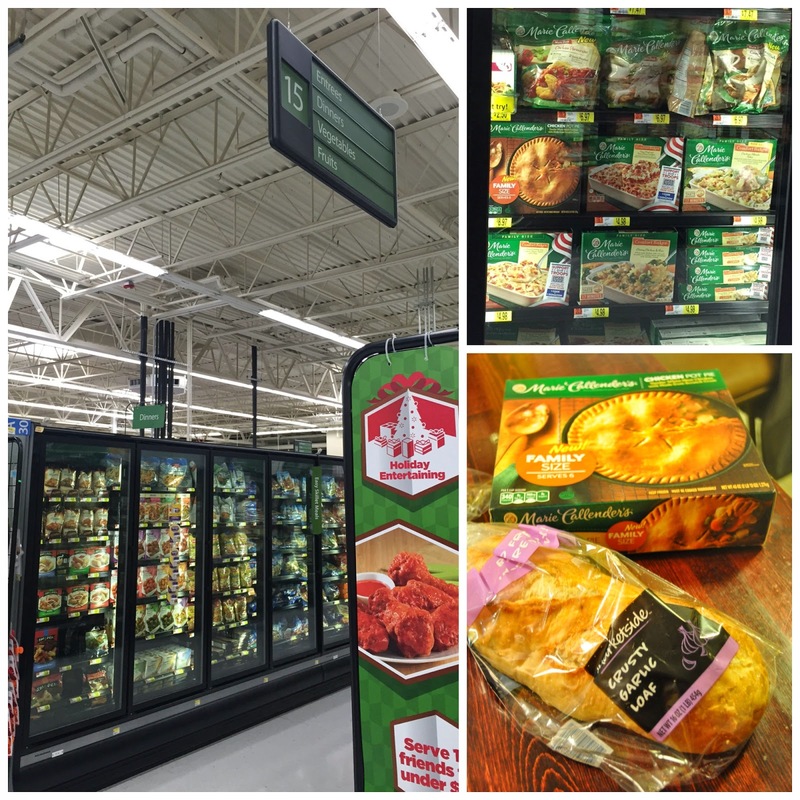 I was at Walmart getting my grocery shopping done and made sure to grab the family-sized Marie Callender's Chicken Pot Pie. My husband's FAVORITE meal is chicken pot pie. It's so odd because he really doesn't like vegetables - but throw it in pie crust with homemade gravy and he gobbles it up! Dinner is served! 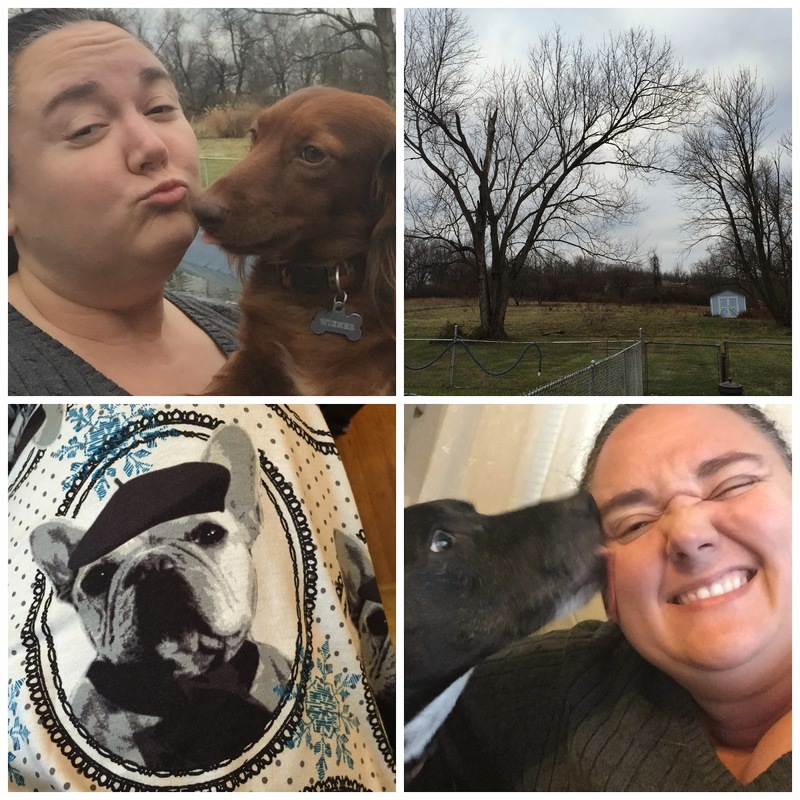 Now I'm bundled up in the house with my puppies, my new pajama pants and a DVR full of ridiculous TV shows to watch! The pot pie is in the oven and the house smells so good! While the pot pie is in the oven - I'm making sure to enter the Comforts from Home code into the Marie Callender website. 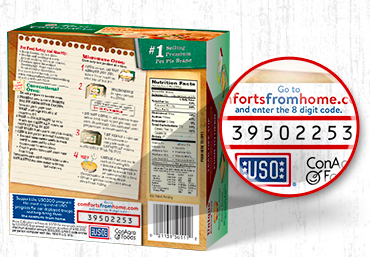 This is a pretty cool program - every time you purchase one of the participating products and enter the code - Marie Callender's will make a donation to USO2GO, a USO program that brings electronics, sports gear, books, games, and more to troops stationed in remote locations. Finally the Marie Callender's Pot Pie was out of the oven - the golden flakey crust was just making me drool a little! I also popped in a Garlic Loaf from the Walmart bakery - pot pie AND garlic bread! Seriously - can you imagine the smell?! I sliced up the bread before popping it in the oven - but not all the way - sort of like an accordion. 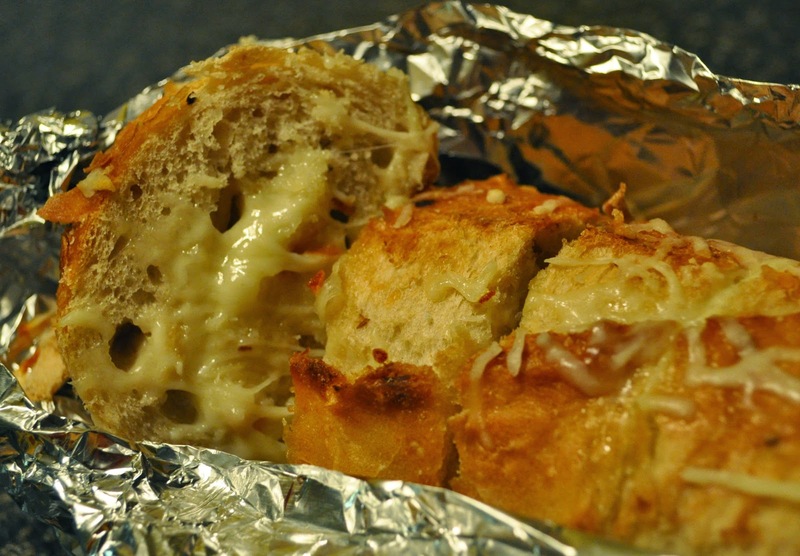 Then I spread butter and sprinkled shredded cheese between the slices. Bake it up and yum! But really - let's get back to the real deal - that pot pie! Homemade gravy mixed with vegetables and all white-meat chicken all wrapped in that golden, flaky crust - perfection!!! My husband was so happy when he got home from work! He loves pot pie and this is his favorite - he said it's the only one that tastes like homemade. He didn't even wait to change clothes - he just sat right down and dove into his pot pie. 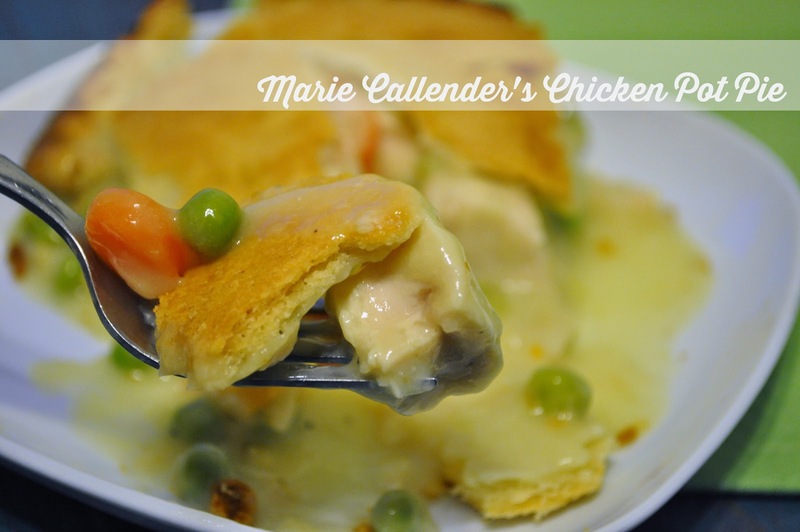 If you're drooling now too - check http://www.mariecallendersmeals.com and find out where you can get the Marie Callender's Family Size Chicken Pot Pie. You can also visit http://potpieplease.com/ for more great recipes. You can like them on Facebook at https://www.facebook.com/MarieCallendersMeals - that way you can keep up on all the latest and greatest in their product line.